In May of 2018, my husband and I bought a Ram Promaster, named her Billie Jean, and set to work on making the interior a home. As we measured plywood for cabinets and felt the magic of boring screws into metal ribs, we dreamt of the forest service roads we would explore while searching for free camping in Utah. There are two big reasons we chose to call Utah home while living in a van: that big red desert landscape and plenty of free camping. On Billie Jean’s first trip to the desert, I poured over Google maps, trying to identify and track the squiggly lines that might end in perfect pull-outs. By the time we were out there, with orange sandstone whizzing by our windows, we decided to set aside our technology and turn down an unmarked dirt road. That night, the desert would be our home. Public land comprises the majority of the west. With roughly 63% of all Utah land remaining public, there are plenty of opportunities for free camping near Salt Lake City, far into the flat reaches of the West Desert, and throughout the southern red rock. 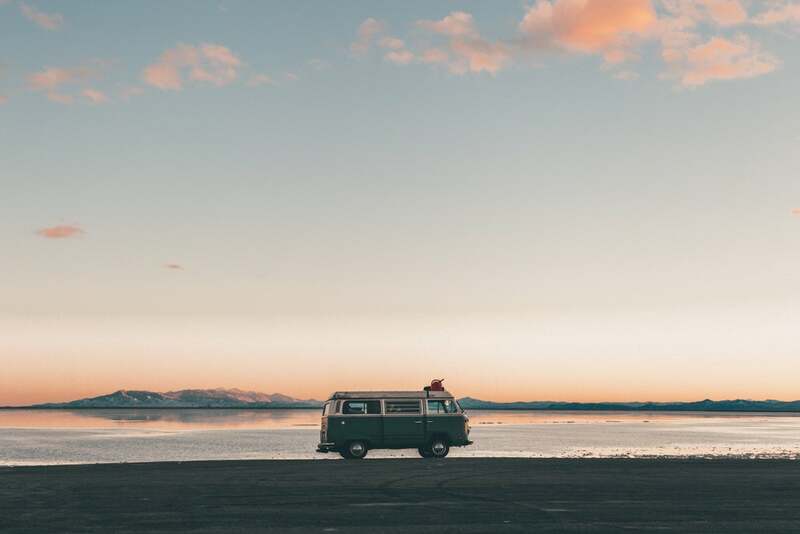 For those living the van-lifestyle, free camping options throughout Utah offer a way to live on the road for longer and avoid hefty campground fees, while exploring the lesser known parts of the state. Thankfully, you won’t be hard-pressed to find idyllic free campsites across the Beehive state with little to no work involved. Depending where you’re located, free camping might be less than a mile off the highway. In densely populated areas, however, free camping in Utah requires a little more creativity, patience, and route-finding. Almost always, though, the effort it takes to arrive is well worth it. Similar to BLM and Forest Service Land across the country, stay limits are imposed across all public land in Utah, so every 14 days you must move camp 25 miles from where you were. In some areas, special permits are required for overnight camping, even when it’s free. 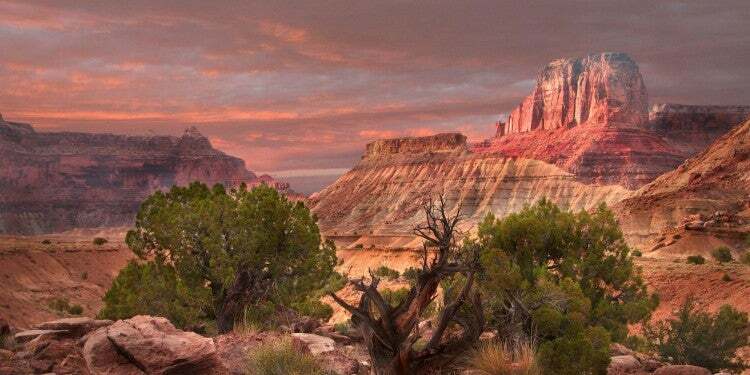 Grand Staircase Escalante operates on an overnight permit system that visitors must obtain to stay within the monument. 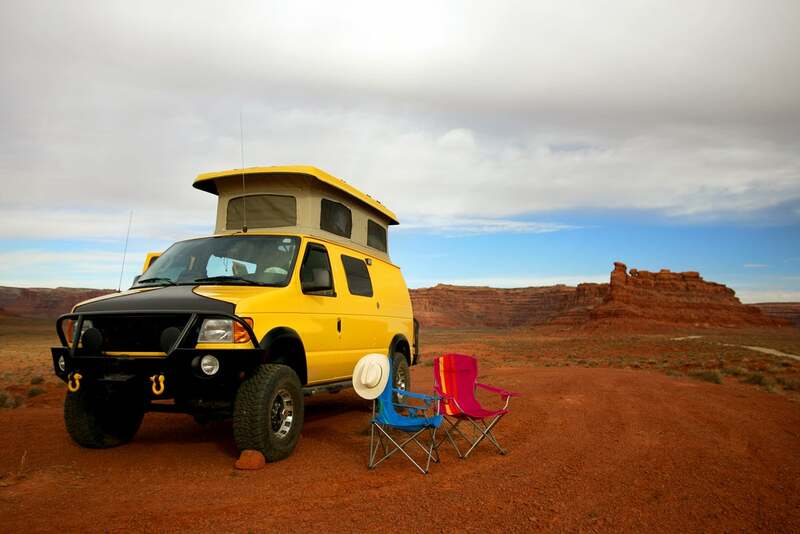 Most of the free camping throughout Utah exists in remote and often harsh environments. When heading into the southern desert or venturing onto the Salt Flats, make sure you have enough water, food, first-aid, and car maintenance gear in case of emergency. Oftentimes cell phones won’t pick up a signal, so if anything goes wrong you’ll need to be able to take care of yourself until you can make it to civilization. While that can be intimidating, it’s also one of the pure joys of camping on the 33-million acres of public land across Utah. If you pick the right forest service or BLM road, you’ll find yourself separated from the hustle of the city, with a million stars overhead, and the stillness and silence of wilderness. First, let’s start with one of the more popular camping options! The Bonneville Salt Flats draw in hundreds of thousands of visitors each year, especially during the middle of August when race car enthusiasts visit for Speed Week, then again in September and October for ‘World of Speed’ and ‘World Finals,’ respectively. This portion of the Salt Flats is also known as the Bonneville Speedway for the multiple land speed records that have been set. All that’s to say, if you’re looking for free camping and solitude in the Bonneville Salt Flats, try to camp in between each of these events. May-October are generally the best times to camp at the flats, after spring runoff has dried and the rainy season hasn’t yet begun. Generally, the flats will be closed to motor vehicles when there’s standing water. If you feel like being a rule breaker, be warned your vehicle will get stuck in the mud. It also pays to stay about 100 feet away from the edge of the salt flats when driving in the dry season, as the underlying mud can envelop tires. While you’re not allowed to camp overnight on the Bonneville Salt Flats, the area is surrounded by accessible BLM land. To the west of the Salt Flats, vanlifers can find respite in the Silver Island Mountains, an area of BLM land surrounded by a 54-mile loop. Along the Silver Island Mountain Backcountry Byway, you’ll find hundreds of primitive campsites with prime views of the Salt Flats, or the Pilot Range along the Utah/Nevada border. There are multiple hiking options here, leading to the tops of Grahams Summit, Campbell Peak, Jenkins Peak, and Lamus Peak. A map and compass are recommended. What’s nice about camping at Silver Island Mountain is the almost immediate access to Wendover, NV. From exit 4, it’s a short eight-minute drive to get into town and stock up on groceries, water or, if you’re feeling lucky, to try your luck on the slot machines. There’s a Pilot Travel Center in Wendover with access to showers and a public laundry facility, and a dump station at the Philips Bonneville Truck Stop. 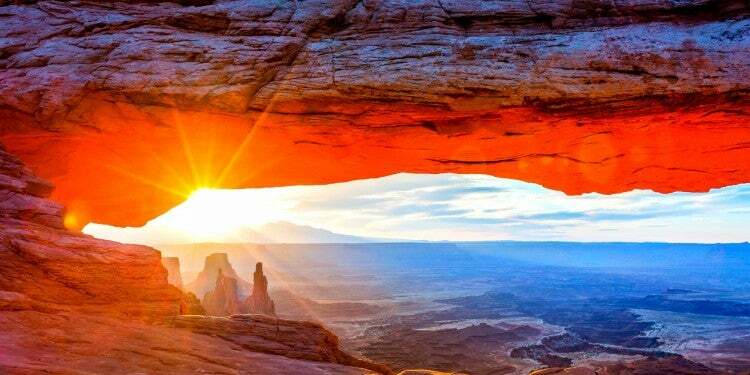 BLM land comprises the majority of public land in Utah and is mostly concentrated in the southern desert regions. However, parts of this land are inaccessible and unusable for the general public. The BLM operates under a “multiple use and sustained yield” policy, meaning portions of the land can be used for pursuits other than outdoor adventure, like oil mining, grazing, and timber harvesting. That being said, there are still millions and millions of acres of Utah BLM land with roads leading to the perfect camp spot, if you’re willing to search. The often-overlooked northwest corner of Utah is home to the Grouse Creek Mountains, Goose Creek Mountains, Bovine Mountains, and the Raft River Mountains (part of the Sawtooth National Forest). The land leading up to the first three mountain ranges are BLM land with many pull-offs for free camping. This area is popular with hunters in season, so beware. There are also some nice camp spots to the west of Randolph on FR20058 and FR20061. Following either of these will eventually lead you to the eastern bench of the Uinta-Wasatch-Cache National Forest. 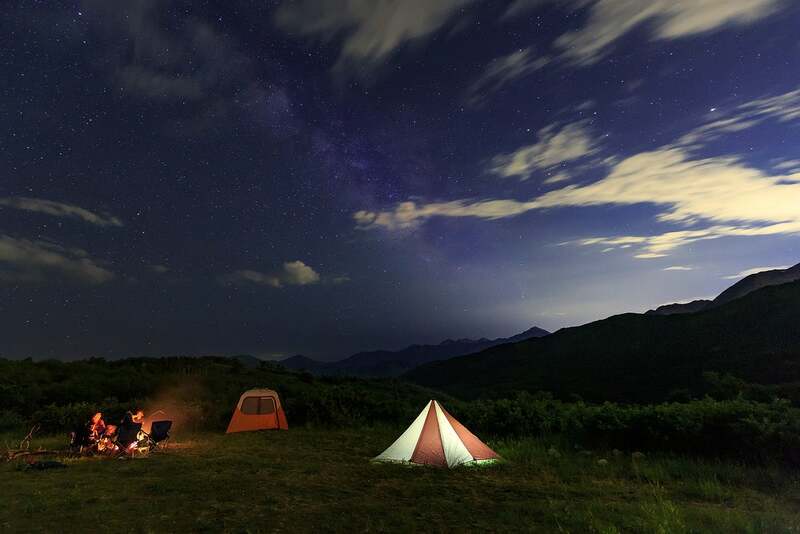 Due west of Salt Lake City, Five Mile Recreation Area is about the best free camping you can find within easy driving distance of downtown. 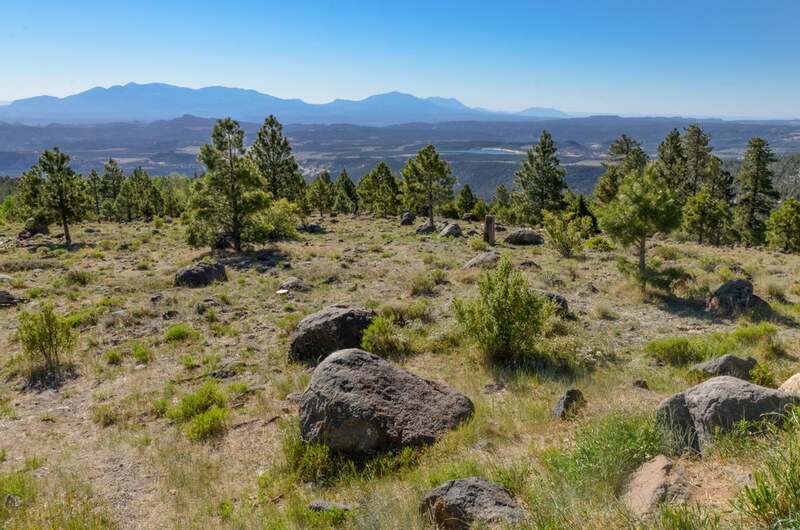 This area is popular with mountain bikers, hikers, and ORV-users, so if you don’t mind a bit of noise, you can find an excellent spot with immediate access to trails. During the week, usage decreases for more solitude and respite. If I were to define Utah free camping by one word it would be desert, and the southern part of Utah has multiple types of desert to satisfy: arid and cold, high and sunny, sandy, and tumbleweedy. 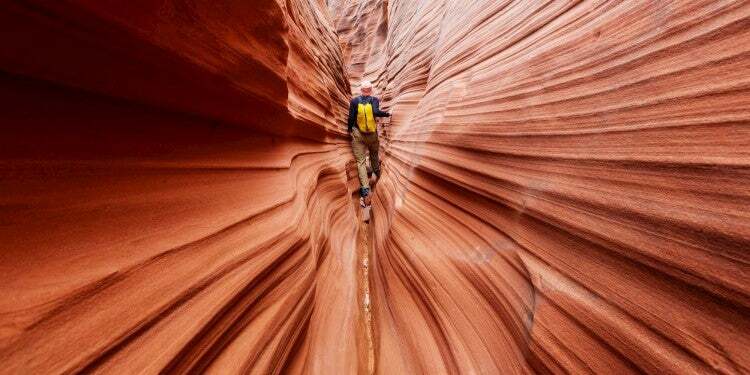 Pictures always show the red desert regions of Utah, and for good reason–they’re geologically stunning. To the west, however, there’s a lesser known area near Filmore, home to the Unesco Desert Experimental Range, and the Confusion Range. 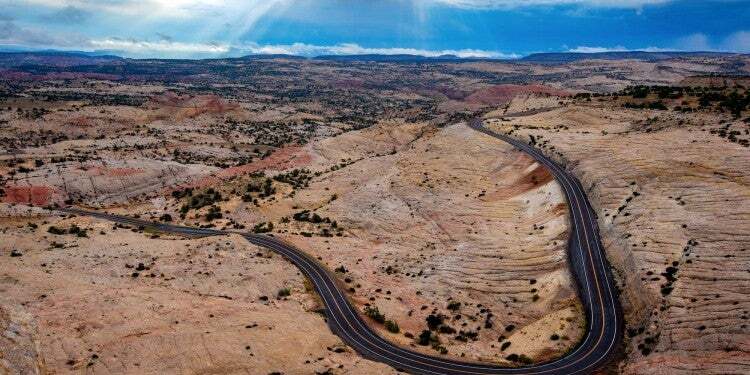 At the base of the Confusion Range, you’ll find Snake Pass Road, which offers seven canyons to the east: Road Canyon, Jackson Canyon, Noddy Canyon, Cedar Canyon, Rock Canyon, Burnout Canyon, and Smooth Canyon. These all lead into the Confusion Range and eventually up to King Top, with stunning views. Going even farther south, boondockers looking to enjoy some desert sun will find countless BLM roads going down washes, across red sand, and through desert hills. Take your pick with Last Chance Desert, Rock Springs Bench, Mussentuchit Flat, Horse Heaven, Walker Flat, or Bartlet Flat, all south of I-15 on the way to Moab. If you have time, the San Rafael Desert is worth exploring. Take CR 1010 to Red Reef and stake your claim before heading to Moonshine Wash for a five-star slot canyon experience. Even farther south near Zion National Park, Bryce Canyon National Park, and Bears Ears National Monument, you’ll find loads of free camping. It’s likely that taking a turn down a dirt road anywhere in the southern desert will lead you someplace magical. I wish free camping on National Forest Service land near Salt Lake City was easier to find, but the close proximity of SLC to the Wasatch range means stricter regulations on overnight stays in most canyons from the valley floor. Within an hour’s drive, however, you’ll be able to find plenty of pull-offs and remote campsites with easy access to lakes, hiking, mountain biking, and more. 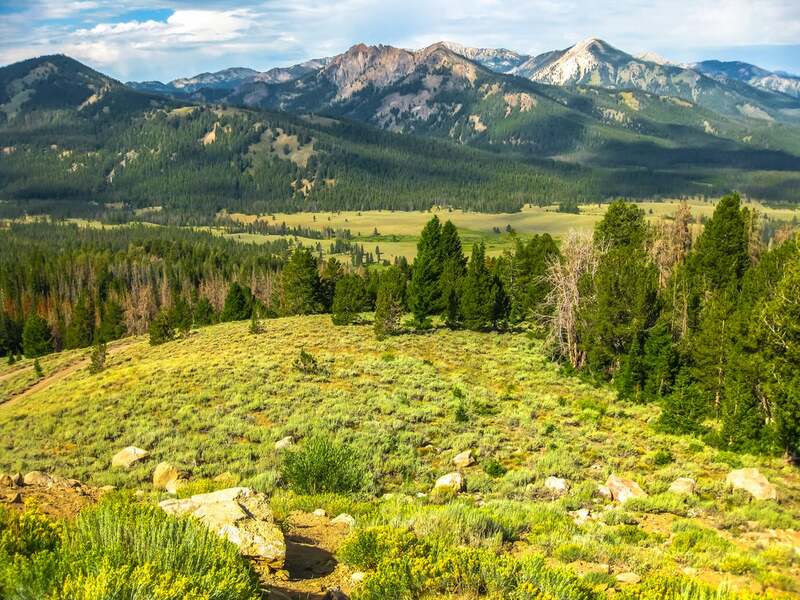 Vanlifers can explore the Sawtooth National Forest and northern reaches of the mighty Uinta-Wasatch-Cache National Forest which covers over 2 million north-south acres. Once on UT-89 east out of Logan, follow FR 20081 to reach off-shoot roads like FR 20052 to The Elbow and Providence Peak. FR 20081 meets up with FR 20231, the left fork of Blacksmith Fork Canyon with multiple forested pullouts. To the northeast, a true gem: the Uinta Mountain Range. Follow almost any marked forest service road and you’re sure to find a somewhat established pull-out along the way. Coming from the Wyoming entrance through Mountain View will offer even more solitude and opportunity near Hoop Lake, Soldier Park, and Hickerson Park, in the Ashley National Forest. One of my favorite areas in Utah is the Manti-La Sal National Forest which begins right at the Nephi exit off I-15, a little over an hour south of Salt Lake City. A few miles along UT-132, turn right onto Log Canyon Rd, which will turn into FR 20069, a long, winding, and beautiful drive among Box Elder and Pinyon Pine. Driving farther along UT-132 will bring even more options due east of Ephraim and Manti towards Joes Valley Reservoir. This area is popular with rock climbers and offers countless free campsites and delicious coffee at Cup of Joes in Orangeville. While Southern Utah is mostly comprised of red rock desert, there are still trees and mountains to be found in the southwest region. Fishlake National Forest and Dixie National Forest are the only two at or south of the I-70 interchange. Fishlake National Forest is a goldmine for relatively established dispersed campsites with 35 dispersed camping locations. You can’t go wrong traveling down any of the forest service roads to find a site that suits you. 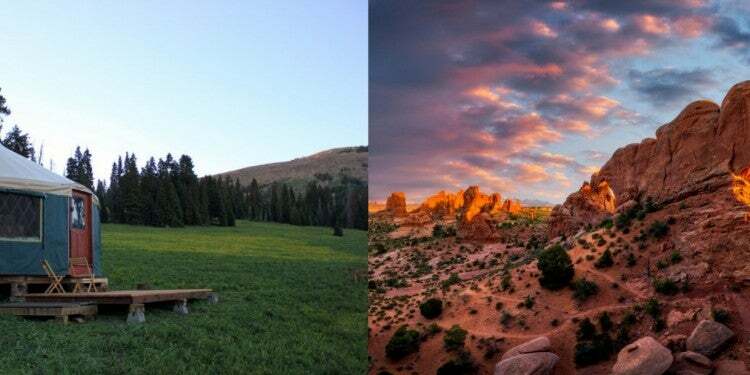 Dixie National Forest also offers quite a few dispersed camping spots, but if privacy is what you’re after, consider following FR 20048 and FR 20049 for some prime pull-offs in the heart of the forest. Here, you’ll also be close to Hendrickson Lake Trailhead, a moderate 1.8-mile hike to an aspen-surrounded lake. 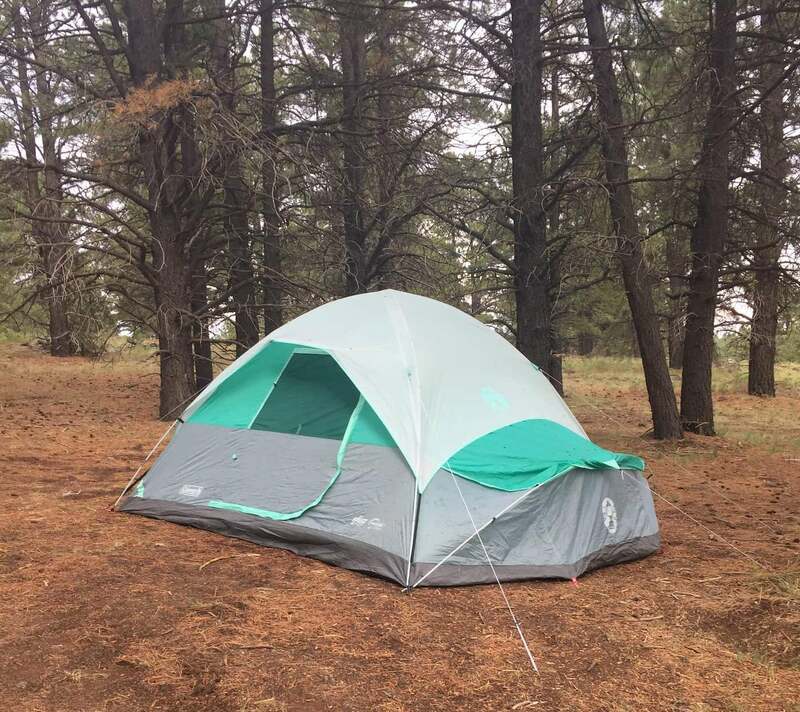 Image from The Dyrt camper Kristin W.
Our users rave about Uinta Flat–especially OHV users. You might encounter noise throughout the night as ATV riders seem to amble about with no regard to time, but it’s free, and it’s absolutely stunning. You won’t want to miss the hike up to Amethyst Lake. Park your van with the sliding door facing away from the road and you might feel like you have the forest to yourself. Iron Springs Group Site can host 4-5 trailers depending on length, in the grassy meadow just a few miles off UT-191. This area becomes busy on weekends with OHV users, horseback riders, hikers, and anglers. Small lakes and streams surround the Iron Springs Group area–perfect for self-sustainable vanlifers looking to catch dinner! 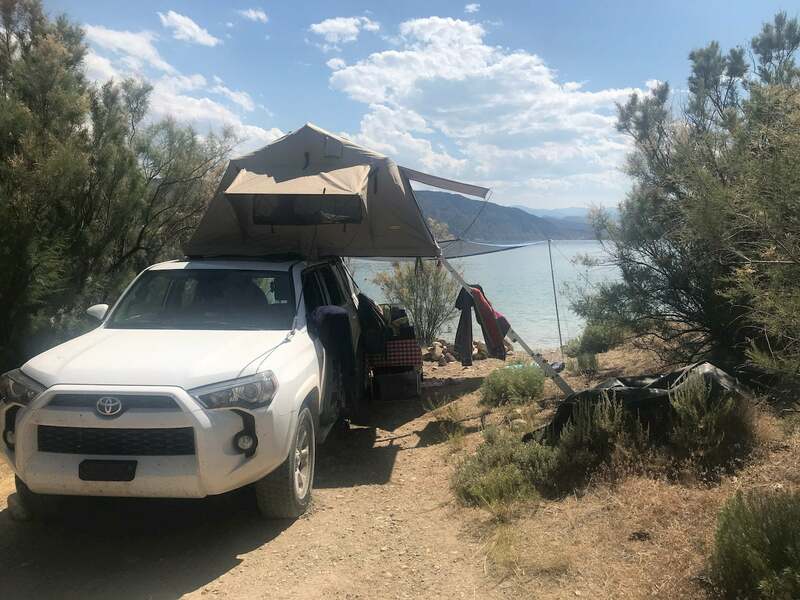 Image from The Dyrt Campers Jason & Sarah S.
Just at the Utah/Wyoming border near Flaming Gorge National Recreation Area, vanlifers can find waterfront property for the night. Travel southeast to the base of Flaming Gorge for stellar views. The lake is home to Rainbow Trout and Kokanee Salmon. 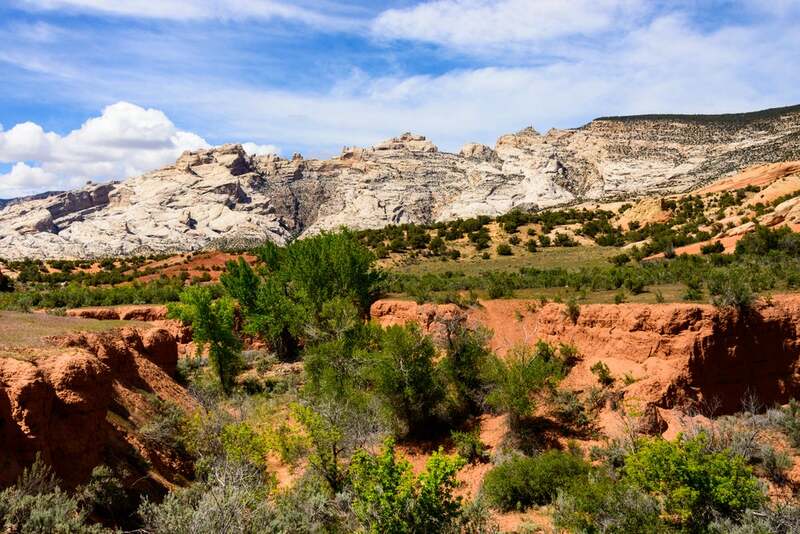 In the effort of preserving and protecting our natural environments, it’s important to practice Leave No Trace ethics when establishing a free campsite in Utah. If there are semi-established campsites, use them! LNT states that if you create a campfire ring in the backcountry, you should destroy the ring before you leave the site and if you find an already established campfire ring, it’s better to use it than build your own. To reduce the effects of “site creep,” stay within the relative confines of an established campsite. Otherwise, year over year, users will eventually expand the boundaries of a campsite until the site creeps farther and affects a larger space than necessary. This applies especially to pull-offs in national forests like Dixie and Fish Lake which see high usage from ORV vehicles and pull-behind trailers. As always, pack out whatever you packed in. For vanlifers, this should be easy! Make sure you’re disposing of human waste in a way that creates the least amount of impact: that means using wag bags in the desert and digging 6” catholes in the forest. Whenever I set out in the van to find a new free place to stay, I do my research–first with the Utah Benchmark Atlas, which is one of the most valuable items in our home on wheels. 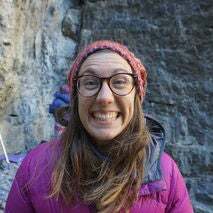 It goes in depth on each recreation area, dialing in on Forest Service Roads, campgrounds, and random recreation opportunities that Google doesn’t often suggest. Once I’ve figured out the area I want to visit, I cross-check with Google Maps satellite view. Oftentimes I can see trailers and motorhomes on pull-outs from when Google surveyed the area, and I know it’s a good bet for free camping. Otherwise, look for spacious pull-outs, especially ones that are at the end of the road, or overlooking a lake.